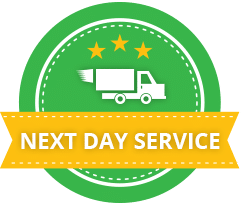 We guarantee next business day service or your initial service is free. We know you want your pest issues resolved ASAP – we are your best option to get that done. Give us a shot. Let’s face it, not all pest control companies are created equal. We know that pest control companies are a dime a dozen but the great ones are hard to find. In our experience, we have found that there are 3 things we do that ensure great results for you. We use the very best products. There is a broad spectrum of products that can be used depending on the pest issue. Some products are cheap with quick results that don’t last. The high-end products that we use are formulated to achieve long-lasting results while being among the safest to be used around people and pets. 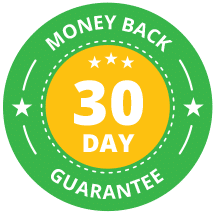 We know that even though we may charge a little more initially, our service will get the best results and actually save you money in the long run. We have AMAZING technicians. We do all we can to hire and train our technicians to be the best. Knowing how, when, and where to apply the products is how we get such awesome results. Our technicians all undergo thorough product application, insect treatment, insect identification, and prevention training that ensure they are not only keeping your family safe but also getting to the root of the pest issues QUICKLY. We guarantee our work 100%. We are so confident that we can get you taken care of that we offer free re-services if any issues come up between services. In fact, if we have to come back more than twice between regular services, we will give you your money back from your last service. “Quick and efficient service. I called and they were within a few hours. Each time I have them out the treatment keeps the bugs away. Whatever they do they do it well!” Jeffrey D.
“These guys are the most thorough, careful and personable we’ve ever had come to our house. The technician who came out was extremely polite & professional. He took the time to pinpoint & identify all our issues before he started which inspired a lot of confidence in the company!” Randolyn W.